AnyMP4 iPhone to Mac Transfer Ultimate is the versatile iPhone Transferring software, which can not only transfer iPhone files like music, movies, TV Shows, Podcast, iTunes U, ringtone, ePub, PDF, camera roll, picture, voice memos and more to Mac for backup. 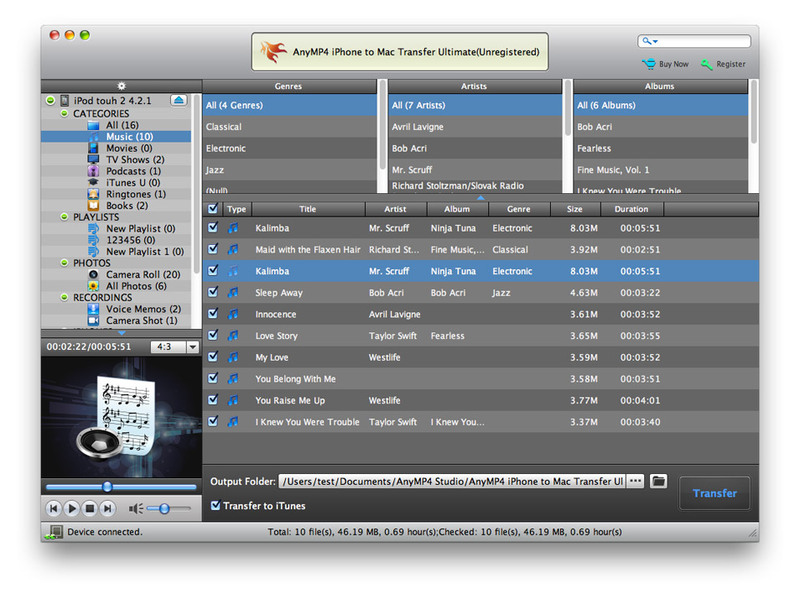 But also, it can sync iPhone files to iTunes freely. Besides, this powerful software allows users to copy iPhone SMS and Contacts to the Mac in order to avoid losing some important messages and contact information. Also, this software supports various Apple devices like iPhone/iPad/iPod.